The Grass is Always Greener on the Other Side of the Fence. Sheep grazing on the summer pastures in Vestmannaeyjar, Iceland. 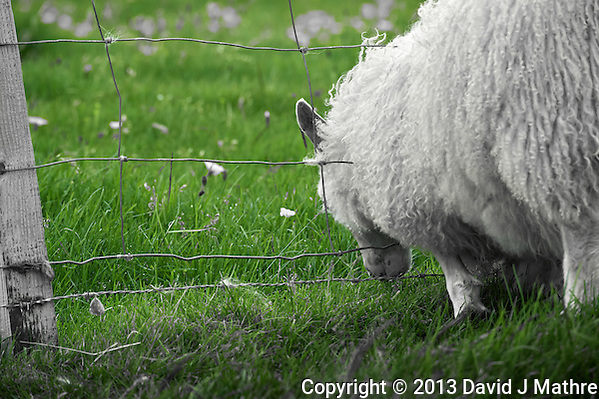 I think the fence was to keep the sheep from the Puffin Nests. Image taken with a Nikon D4 camera and 80-400 mm VRII lens (ISO 800, 400 mm, f/9, 1/500 sec). 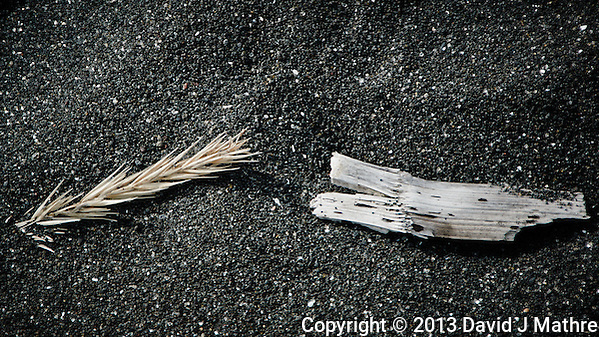 Grass Seed and Driftwood on a Black Volcanic Sand Beach on Heimaey Island Vestmannaeyjar (Westman) in Iceland. Image taken with a Nikon 1 V2 camera and 10-100 mm VR lens (ISO 160, 69 mm, f/5.6, 1/500 sec). Gone to See Iceland 2013 Photography Safari with Mike Hagen. Day 1: Golden Circle. 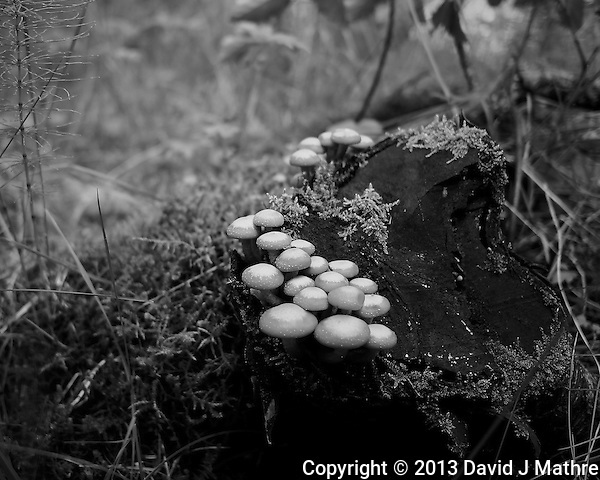 Clump of Mushrooms on a Tree Stump. Forest in Haukadalur, Iceland. Image taken with a Leica X2 camera (ISO 400, 24 mm, f/2.8, 1/250 sec). In camera B&W. 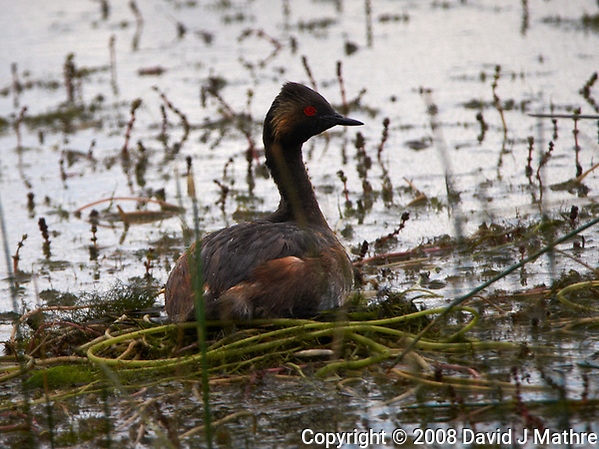 Earred Grebe (?) in a Pond at the Arapaho National Wildlife Refuge in Colorado. Image taken with a Nikon D300 camera and 80-400 mm VR lens (ISO 200, 400 mm, f/8, 1/640 sec). 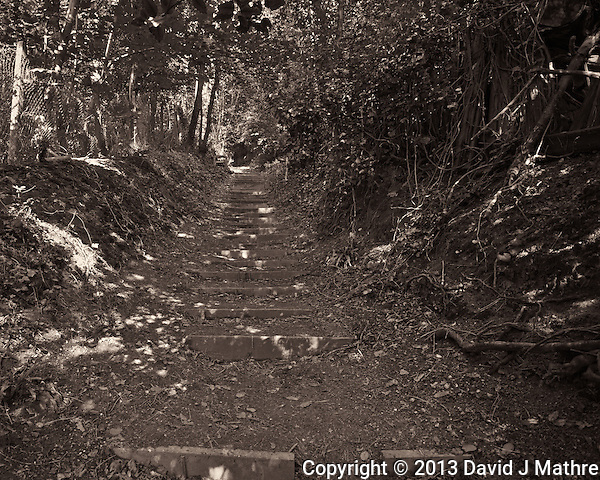 Stairway on the Foot Path, St. Margaret’s Frontline Britain Trail Near Dover, England. Image taken with a Nikon 1 V2 camera and 6.7-13 mm VR lens (ISO 450, 6.7 mm, f/3.5, 1/60 sec). Image converted to B&W with Nik Silver Efex Pro II.